The Reformation Worship Conference exists to encourage the church to remember her Reformation heritage, particularly as it concerns biblical, God-centered worship. 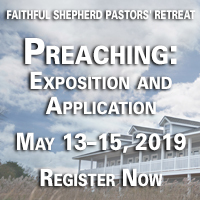 The annual conference will seek to draw gifted scholars and pastors who are able to lead pastors, elders, seminarians, music directors/musicians, and congregants to a fuller understanding of the theology and practice of reformed worship. 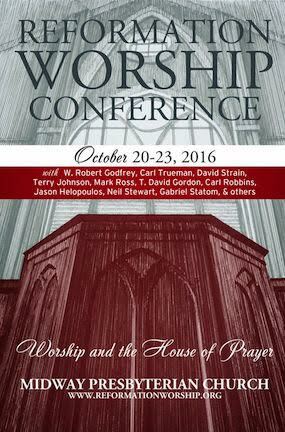 This three day conference will include multiple lectures and seminars during the day and worship services in the evenings, providing a faithful expression and model of Reformed worship for all who attend. Our prayer is that this annual conference will serve as a catalyst to bring our churches back to their Reformed roots in worship, where Reformed theology informs Lord's Day worship and is not divorced from it. Please call each hotel directly and ask for the "Midway Conference Discount" by October 2 to receive conference rates for rooms.